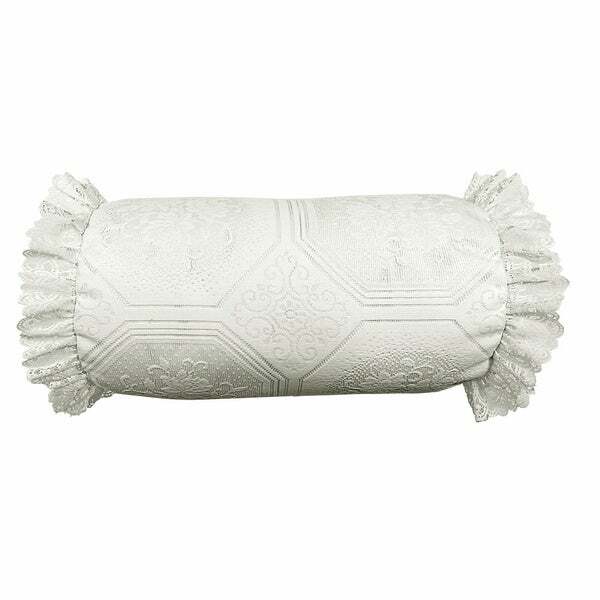 The Ruffled Eyelet Floral Bolster features an all-over eyelet lace floral design to provide a unique touch to any room. The 2-inch lace ruffles complete the look of this plush accent pillow. This pillow is one of the most beautiful neck roll I have ever purchased. I had to call up my girl friend so she too could say wow just like me. She loved it! The material is polyester therefore looked cheap. Also very stiff.